Omega supplies a comprehensive line of detection instruments for oxygen, flammable and toxic gas hazards. 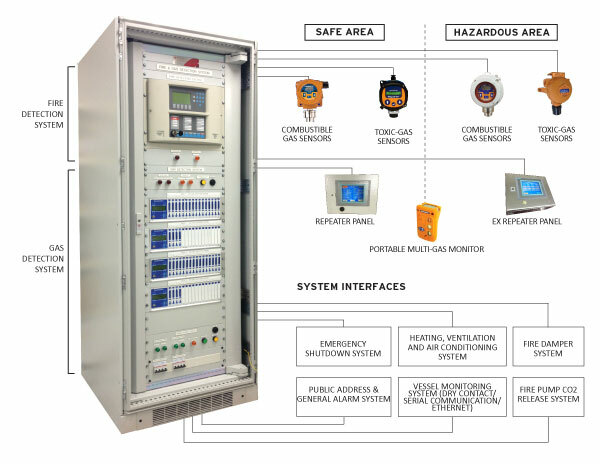 With more than a decade providing customized fire & gas detection solutions, Omega is capable to integrate full range of gas detection solutions from standard fixed detector packages, to fully tailored monitoring systems and distributed control systems, mimic panels or remote annunciators. Our experience enables us to help you ensure plant operatives can be alerted quickly to gas situations, and take appropriate action swiftly. In flammable atmospheres intrinsic safety and explosion-proof design is paramount. With ATEX and UL classifications, our fixed and portable detectors are fit for purpose, utilising rugged exteriors designed for everyday use that withstand even in the harshest environment.